I have been out and about and telling everyone and anyone that will listen to me all about Bub & Bloom, and how fantastic it is! After discovering that calmbirth existed, and reading as much information as I could find about it, I mentioned it to my Midwife, and asked her if she knew any women that had used it. She told me that not only had she heard of it, one of the Birth Centre Midwives was a qualified teacher, and so we met Lainey. We had wanted a fairly “normal” natural pregnancy, labour and birth, hence our decision to go with a Birthing Centre, not a delivery ward. Our idea’s of labour and birth were fairly open, and we both wanted a positive experience, with as little medical intervention as possible. Lainey met us and we immediately felt at ease with her, and extremely comfortable learning and relaxing. We felt that we could not have been better prepared for our impending labour and birth. My waters broke at 2.30pm on Thurs 6th April , and we were immediately excited about the impending arrival of our little one. Unfortunately, I did not go into labour for some time, but with a few simple suggestions from Lainey, we were well on our way. The first sign I got that I was in labour was at 2.30am on Friday 7th April, and all I felt was tightening in my belly. We moved out to the lounge room couch, and I started my relaxation breathing. Ash then commenced with his positive affirmations, and was timing the waves. At 7.30am, we called the Birth Centre, and made our way to the hospital. We arrived at 8.30am, and I was still in full control, and in no pain at all, just tightening with each wave. With no medical intervention, no drugs, and no internal examinations, our beautiful baby girl, Maddison was born in a calm environment, bright eyed and wide awake, and not crying, at 10.32am on Fri 7th April, after only an 8 hour labour and delivery. Maddison is a calm child who rarely cries for long periods of time and I continue to use my relaxation breathing to quickly go to sleep in between night feeds. 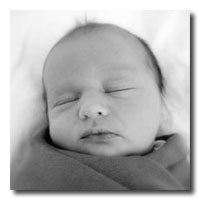 I constantly rave about the benefits of Bub & Bloom to anyone that will listen to me, and am already looking forward to having another child, using these amazing techniques. A huge thank you to Lainey, who made our labour and birth such a positive and fantastic experience. It was truly amazing, and we couldn’t have done it without her. A calming approach to preparing mind, body and spirit for the birth of our little miracle. Thanks to bub and bloom we felt at ease with the labour ahead and welcomed our beautiful Lily Mae into the world in 3 hours. 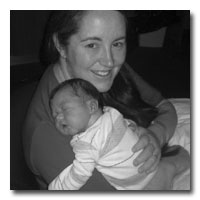 Lainey’s approach to birth is holistic, her touch was both professional and loving throughout our time together antenatally and as a family. At our first calmbirth class I went into it a bit sceptical. I never believed that it would work, let alone it could help with making the birth of a child easier. During one of our initial sessions I was totally amazed at the power of the subconscious mind. With Lainey’s guidance I experienced something that I never felt was possible, and gained self belief that calmbirth could definitely make a difference. Thanks to your beautiful caring nature and love surrounding us throughout pregnancy and birth! Our birth wouldn’t have been the same without you. After attending your class, we felt so prepared to birth our baby. Alex raves to anyone who will listen about how amazing your classes are, as do I. We both felt prepared for what was to come…even though we had no idea what the fates would throw at us, and that was the most important thing. We knew that no matter what happened during my labour, we could deal with it together, and breathe through it. As it was, I was very lucky. When my waters broke and I was told that unless I went into spontaneous labour by 3am the next morning,I would have to have to be monitored and need antibiotics. I started visualizing the flower opening at double time! And as you know, sure enough, I did go into labour around 9pm when you started your shift. I had a quick 6 hour labour and having you there as our midwife was the most perfect scenario. Poppy is thriving. She is a very easy and cruisy baby. I have a lot of jealous friends, who can’t believe her demeanor or my perfect labour story. Thanks again, and we will see you again when it is time for baby number two. The birth of our little boy is by far the best I have ever had, thanks to the techniques I learnt from your class. As hoped, it was completely natural and drug free and couldn’t have been more different from my two prior birth experiences. I arrived at the hospital at 4.30am when my contractions were 6 minutes apart and CJ was born at 9.30am. I spent the first hour drinking tea with the midwives at their desk, breathing through contractions as they came and went. I spent the next hour or two sitting down with a hotpack on my back, focussing on breathing. I couldn’t believe (and nor could Craig) that the breathing and visualisations were so effective and I can honestly say that the contractions I experienced did not feel like pain. Craig also proved far more useful and supportive third time round! The midwives and my obstetrician commented a few times on how calm I was and said they were wondering whether things were really progressing as I was so quiet. I felt very calm and peaceful and started to cry with joy at the thought of my baby arriving soon. I told the midwife I didn’t know why I was crying and she said that I was going through transition…Unbelievable, given transition with my previous deliveries involved writhing in pain and talking in tongues. Sure enough, a few minutes later I was pushing and about 10 minutes later (including a posterior rotation and stuck shoulder) our beautiful little (3.9kg) boy was born. Interestingly, he did not come out screaming and he has been a very contented, settled and calm baby so far- due in no small part, I’m sure, to the fact the labour and his birth were so peaceful for him. I probably should have practiced more, but thankfully my subconscious must have been paying more attention than I thought as it all seemed to work perfectly. I had a number of midwives come to visit me in the days after his birth, having read my birth notes, and asked me how I had done it. I provided your name to a midwife who wanted to recommend your class to a friend of hers. We are all settling in at home now. Thankyou again for making Campbell’s entry into this world such a lovely, positive and calm experience for us all. I can’t thank you enough for teaching me the bub & bloom tools, and it may sound corny, but it has completely changed my life. The birth of Carter was so positive and special, and I’ve been recommending your classes to every woman I speak to! I was ten days overdue and was booked for induction (which I really didn’t want), but started having some irregular contractions at about 6pm. At 10pm Deon ran a bath for me, lit some candles and I listened to some relaxation music whilst doing my calm breathing. By 11pm the contractions had increased to 5 minutes apart and I knew it we needed to make our way to the hospital. After settling on the bed I didn’t want to move at all, as it would disrupt the ‘zone’ that I had put myself in from calm breathing. The doctor came to check on me, and see how dilated I was, and the midwife (who was lovely) guessed I was about 4cm. However, to their surprise, I was 9cm dilated and almost ready to start pushing! I still attribute this to visualising my cervix opening. I began pushing, with Deon encouraging me and helping me with my breathing the whole time. But after two hours of pushing our little Carter refused to turn so I needed the help from the doctor. With a big push and help from the ventouse, Carter’s head was out and two more pushes later, my beautiful boy was born! Fairly big too at 8 pound 14. Deon was absolutely fantastic. He remained calm and collected and was my rock through the tough moments. It really was the most amazing moment of my life when he was placed on my chest, and opened his eyes to look at Deon and I. I still can’t believe that I went from being absolutely terrified of labour and wanting every sort of pain relief under the sun at the start of my pregnancy, to becoming confident enough in myself to birth my son naturally, calmly and quietly. The midwife said to me that it was the calmest birth she had ever attended, and was privileged to be a part of the experience. Thank you so much for all your help during the Bub And Bloom workshop back in June. As you might remember, I was a bit ambivalent about doing the workshop after finding out that my baby was breech and I’d need a caesarean. I had really wanted a natural birth and felt like the workshop might just leave me feeling more disappointed about not being able to have the birth I wanted. You, however made us both feel really comfortable and I was surprised about how much we both got out of the workshop. I realised that the techniques would still be helpful in managing my anxieties about the caesarean and it felt good to be prepared for anything, just in case. As it turns out, I needed the techniques more than I realised. I was booked for a caesarean at 38.5 weeks but went into labour spontaneously at 37 weeks when my waters broke whilst having a pregnancy massage/facial! I initially felt a bit panicked as I knew my baby was still breech and that I needed to get to hospital asap. Stu came to pick me up and within 15 minutes of my waters breaking, contractions had started. Another 15 minutes later the contractions were less than 2 minutes apart and we were both thinking we’d be having a breech baby in the car! I have to admit I hadn’t practiced the calmbirth techniques much, as I thought I wouldn’t really need them. But I did remember one of the breathing techniques, so I just kept breathing in for 10 seconds and out for 10 seconds, focussing on the counting. Poor Stu was trying to help by counting me through, but I found it more helpful to turn my focus inwards and by blocking out the outside world. It seemed to help me block out what was happening to my body. I also kept saying to myself, “you can do this, you’re going to meet your baby soon.” The pressure was incredible and all I wanted to do is push but I knew I couldn’t. We eventually got to the hospital and rushed up to the labour ward. Stu told me later that one of the midwives asked if this was my 2nd baby as I was coping so well with the contractions. I still ended up having a caesarean because of bubs being breech, but I ended up getting to experience labour just like I had wanted, which I am so grateful for. Without your Bub & Bloom program, I think I would have been a complete mess, but instead I look back on my birth experience as a wonderful one, albeit a bit exciting! Our beautiful little girl, Alice Elizabeth, is now thriving and has more than caught up after being a tiny 5lb13 when she was born. She’s such a happy and relaxed little baby and I can’t help but feel that being calm during our exciting labour might have helped. What a fabulous way of thought and teaching that promotes confidence and rightly restores the responsibility and control for a woman to contribute to what can be one of the greatest experiences and joys in a woman’s life. Calm birthing…The word really needs to get out there. 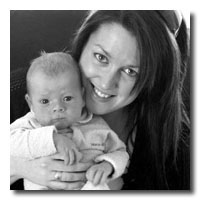 Lainey, I can’t thank you enough for facilitating the way to tap into inner strength and resources that gave a profound inner healing and a confidence to face “birthing” with total confidence. Even when things didn’t go exactly as planned, the skills I was able to employ kept me calm with all fears allayed. Our beautiful daughter Crystelle, a calm, healthy and happy baby is testimonial to the calm pregnancy and birth I was able to have. Your course was a major contributing factor for my attitude. I was greatly blessed and fortunate enough to have had the exceptional midwifery experience and firsthand experience of this excellent calm birthing teacher Lainey, to help my husband deliver our beautiful cherub into this world. A truly remarkable, professional teacher and an inspirational model for all midwives to follow suit. Thanks Lainey, I hope all women are as lucky as we were to have you in our lives at a very important time on our journey. When faced with the thought of our first child’s arrival, Daniel’s main concern was how he would stop himself from passing out due to his weakness of all things medical. My main concern was who would look after me if he did!! I have bad reactions to most medications and knew I needed strategies to cope. baby’s arrival into this world would be our experience. No longer was Daniel concerned as he knew his role to and how to help me. The ‘medical things’ that used to be so daunting became much less scary as we began to understand them. Tahlia arrived 12 days overdue. Our labour experience was nothing like we planned, but with the last minute help of Lainey on the phone and by doing all that I had learnt I managed to re-focus and deal with everything as it arose. I remained calm and focussed throughtout. 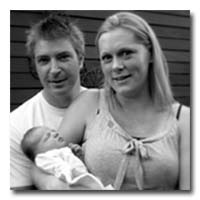 I was very fortunate to have a midwife and obstetrician who were very supportive of calmbirth and knew Lainey. Despite my baby girl being posterior and quite stuck they supported me and I achieved a natural birth. It was only afterward that they told me that it was quite a difficult labour and most women would have had an epidural! I didn’t use any medication, and really didn’t need it. Daniel was amazing and supported me throughout the labour and didn’t feel faint once! Most importantly our beautiful little girl arrived into this world bright, alert and very calm despite her tricky arrival and for the first three months we have barely heard her cry. Tahlia is just delightful and we are so glad that we used Bub & Bloom to make what could have been a very traumatic experience into a calm and beautiful one. From the bottom of our hearts, thankyou. I was excited to discover I was pregnant but apprehensive about the unknowns of labour. I found out about calmbirth through a midwife as we were inspecting prospective hospitals. 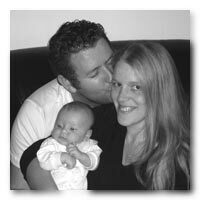 I selected Bub and Bloom as Lainey was a trained and practicing midwife, which appealed to me. We learned so much from the course, but also from Lainey’s stories about other births from her experience as a midwife. I was so happy that I didn’t have an epidural and only a little bit of pain relief when labour really kicked in. 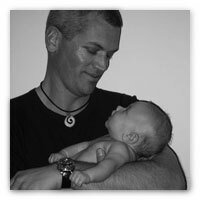 I kept repeating the mantra “your body was designed to birth your baby” which really helped me trust my own body, and get through it. After an 11 hour labour our beautiful son Lennox was born. I cannot recommend Bub and Bloom enough. Lainey reminded us that sometimes things don’t go to plan Lennox was born by Vacuum extraction due to a number of complications, but we were armed with the knowledge and tools to get us through. I would not change any part of my labour or birth and although uncomfortable and at times painful, I look back on the experience as a joyous and relaxed one. Even the midwives made comments about how relaxed and focussed I was! Just reporting in to say that Justin Peter Rule arrived 4 weeks early on the 9th of July, the Thursday after we attended your workshop. Thank the universe for Lainey because we used every technique you’d taught us! The labour lasted 6 hours and I breathed my way through the whole thing with no drugs. Justin came into the world a happy little Vegemite and it is an experience that I will treasure forever. I am looking forward to doing it all again in the coming years with the knowledge that I can once again use the bub & bloom techniques. I kept my cool the whole time and focused on making the experience a calm one for my little one entering the big wide world and it worked a treat! He has been a cool little cucumber since his birth and we’ve had comments supporting this from the midwives in special care ( he was there 9 days) and from friends and family visiting the last couple of weeks. Of course he does the odd squealy tomatoe face- but who doesn’t when they are hungry? I have told anyone who will listen and recommend your Bubby Bloom classes to my pregnant friends. As far as I am concerned it was the best money I’ve ever spent and I’ll be back for a refresher in my next pregnancy.